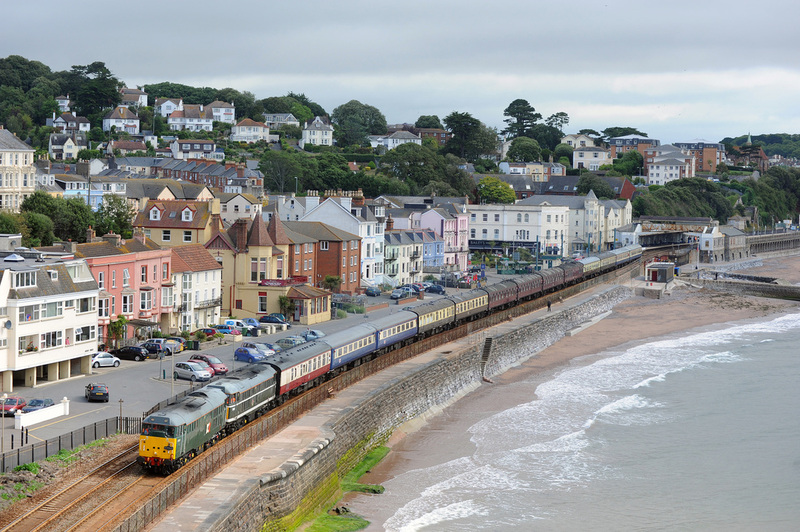 One of the most popular locations in the UK to watch and photograph trains is on the Dawlish Sea Wall, located between Exeter and Newton Abbot in Devon on the Great Western main line route to the West. The line is operated by Network Rail, with passenger services provided by First Great Western and Arriva Cross Country. Some freight traffic still remains but in much reduced amounts. DB Schenker (EWS) operates a limited freight service from and to Cornwall, mainly to serve the china clay industry, while Freightliner Heavy Haul operate on an 'as required' basis with cement traffic to Moorswater and aggregate traffic from Burngullow to the London Area, plus powering Network Rail engineering trains to and from Hackney Yard at Newton Abbot. In late 2011 Colas Rail Freight commenced a new contract to power log trains from Teigngrace on the Heathfield line to Chirk. Direct Rail Services also operate from time to time over the sea wall powering flask traffic to and from Devonport Dockyard. Passenger charter traffic is also a feature of the Dawlish Sea Wall with both steam and diesel powered specials frequently working over the line. In the summer months the 'Torbay Express' steam service operates between Bristol Temple Meads and Kingswear, while private steam charters operate from various starting places to Paignton, Kingswear, Plymouth and Cornwall. Many diesel powered charters also operate over the line each year, working from various locations throughout the UK to Paignton, Kingswear, Plymouth and Penzance, often bringing rare and unusual traction to the area. The Dawlish Sea Wall website www.dawlish-seawall.com hopes to publish prior information about these trains on our site. 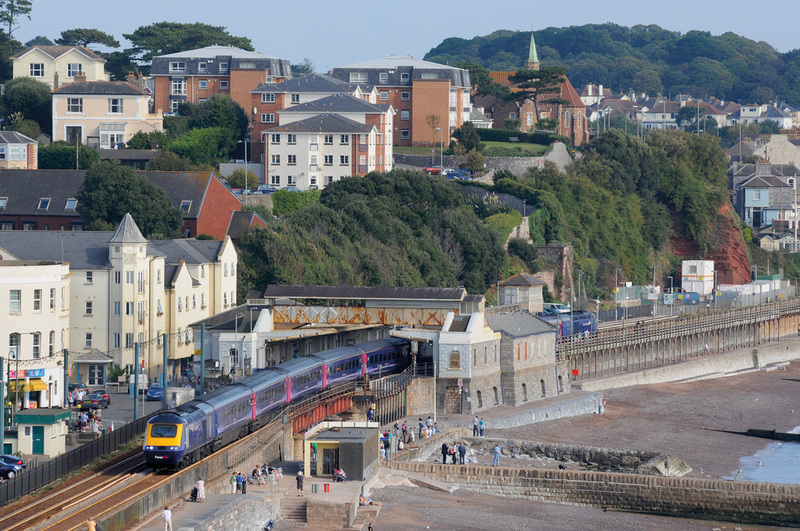 Each year the Dawlish Sea Wall usually sees a couple of workings of the UK Royal Train, carrying either HM The Queen or Prince Charles to Totnes or Plymouth or traversing the Sea Wall on route to Exeter after spending the night at Newton Abbot. On some Fridays the Network Rail 'New Measurement Train' (NMT) can be seen traveling along the Sea Wall on a run from Paddington to Plymouth and return, the westbound working is around 08.20 and the eastbound return at 10.50. In spring 2012 the following classes of locos and multiple unis were seen on the Sea Wall. Classes 31*, 47*, 56* 57, 66/0, 66/4*, 66/5, 66/6, 66/7*, 66/8, 67*, 143, 150/1, 150/2, 153, 158*, 220, 221 and HST [FGW & XC] (* in restricted numbers).